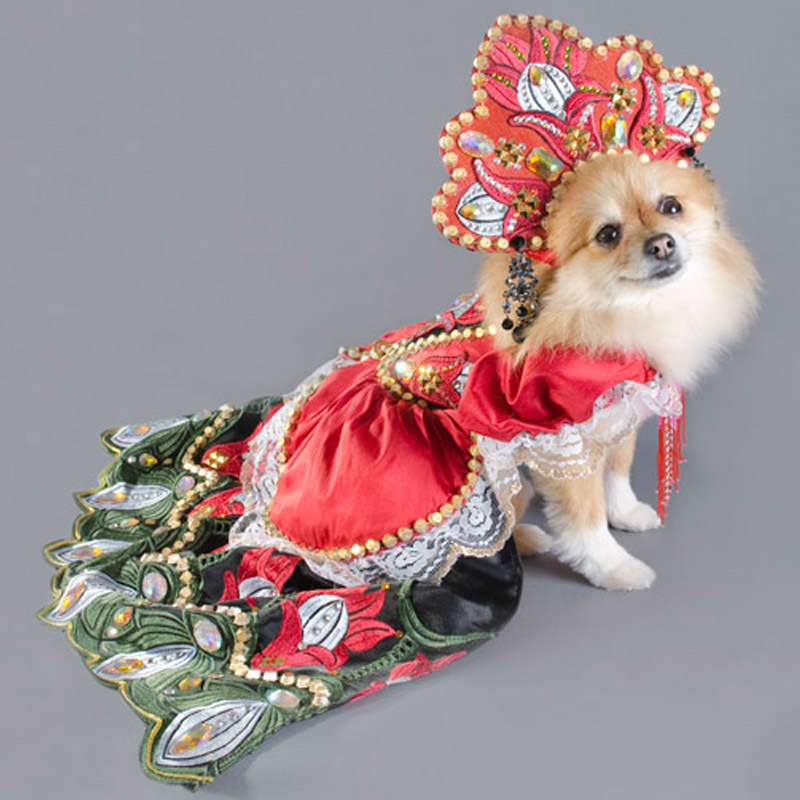 The "Tsarevna" folk russian princess dess, an OOAK design, was created for the New York Pet Fashion Show 2014. 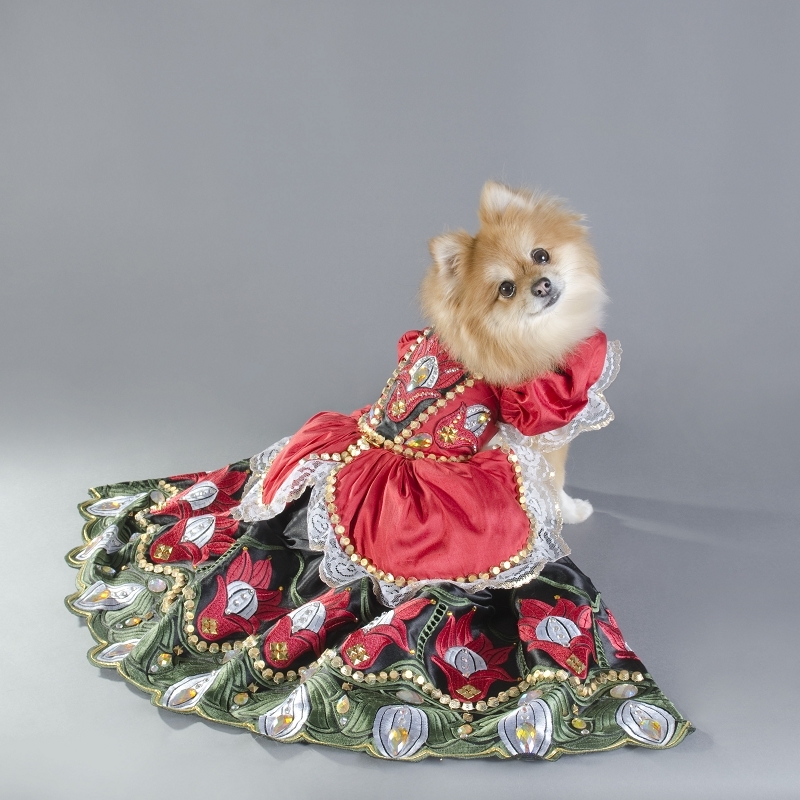 Your pet will surely draw attention and quite possibly the pup-arazzi in this designer haute couture red carpet dress. 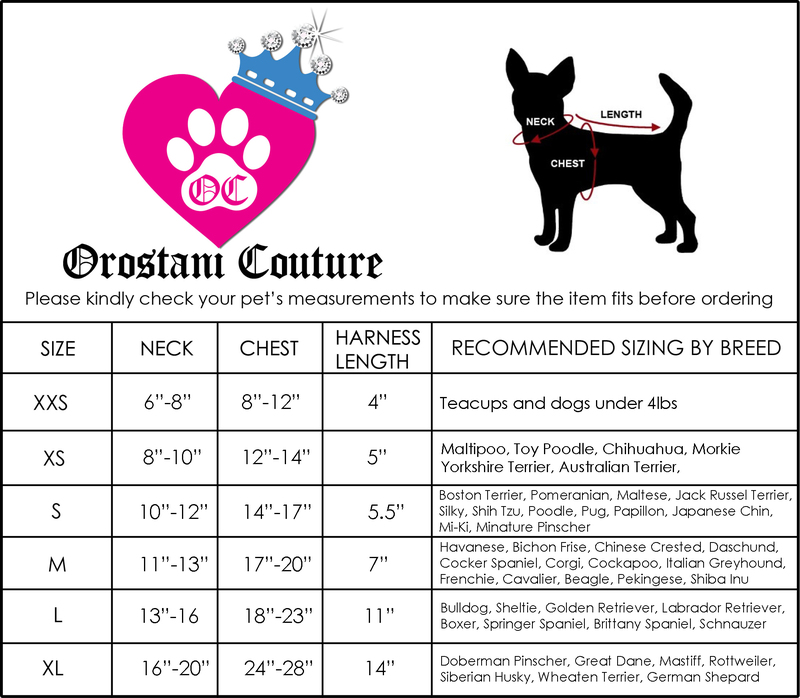 This dress will be customized to fit dogs within the measurements of Neck 10"-12.5" Girth 14"-17"
This handmade one of a kind royalty design is more than a little pup can dream of! 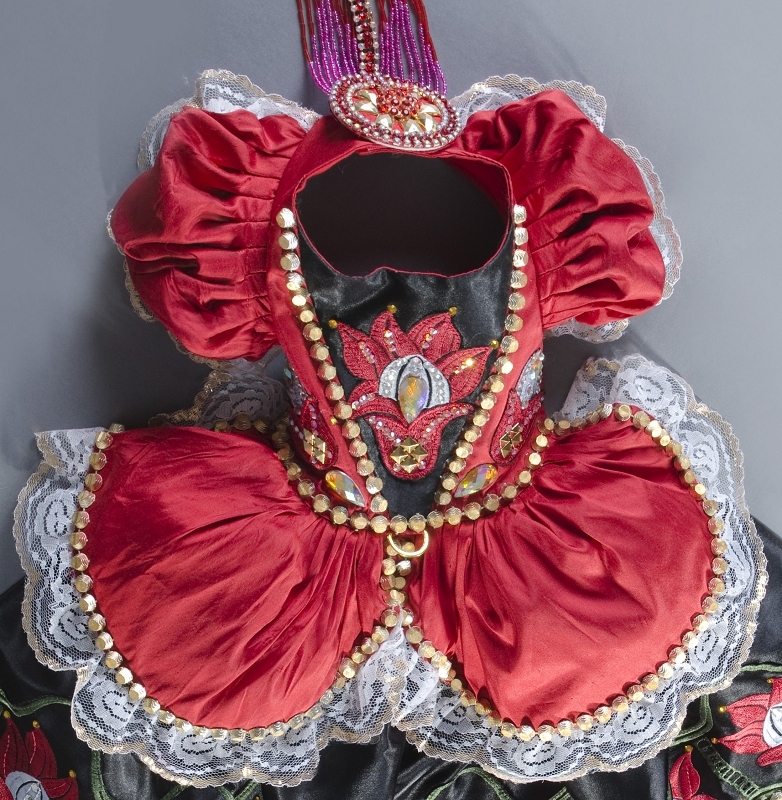 It features very intricate details; fabric has been recreated into a unique one of a kind embroidered flowers material that includes 100's of beads, gems, Swarovski crystals, and studs. 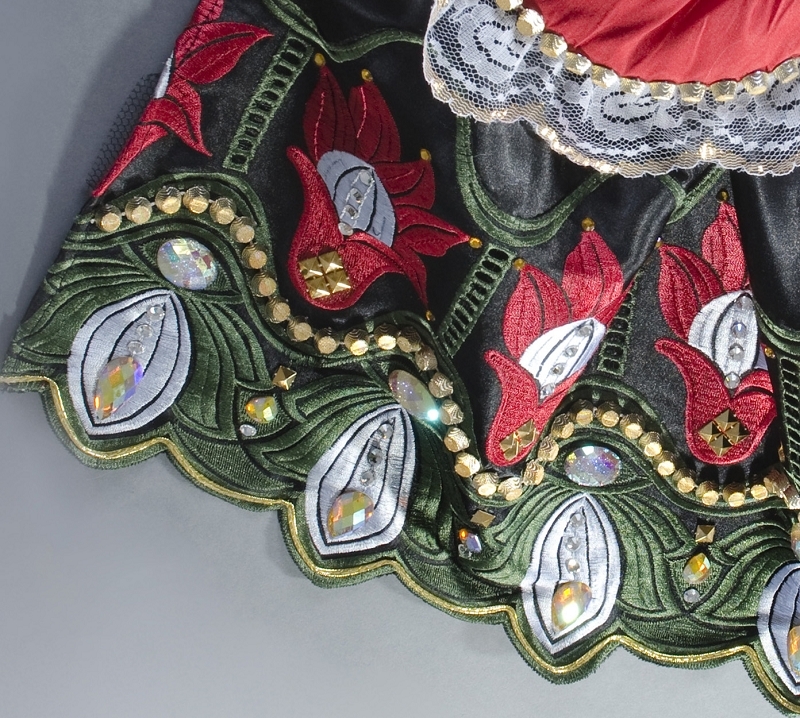 Removable front beaded jeweled pin. 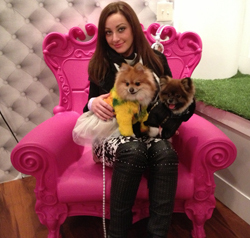 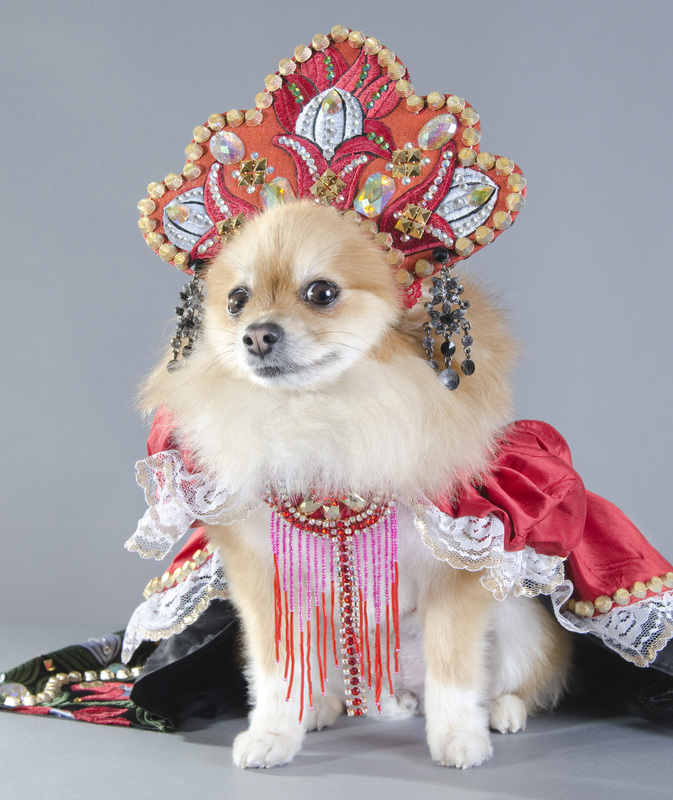 At Orostani Couture, I dress your pet in regal splendor, fit for a pampered pooch. 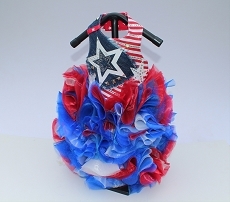 This design is an excellent selection for diva dogs looking to stand out from the crowd. 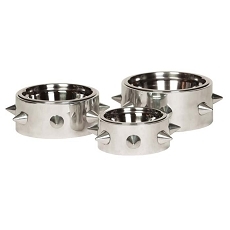 It also makes an excellent photo prop for your pet to wear to that next photo shoot, charity event, birthday, fashion show, bark mitzvah, red carpet event, competition, or dog pageant. 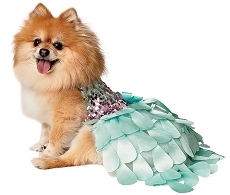 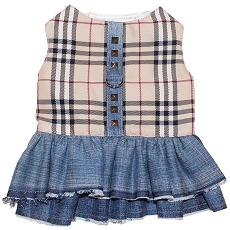 Quality materials guarantee that this dress can stand up to whatever your dog dishes out. 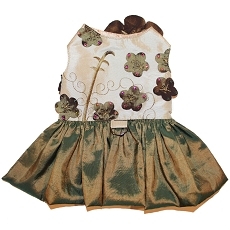 This piece is specially designed just for you in meticulous detail to ensure style and comfort.